A sterling silver carving set is signed "Easterling" in the "American Classic" pattern. There is minor wear and scratches, see photos. 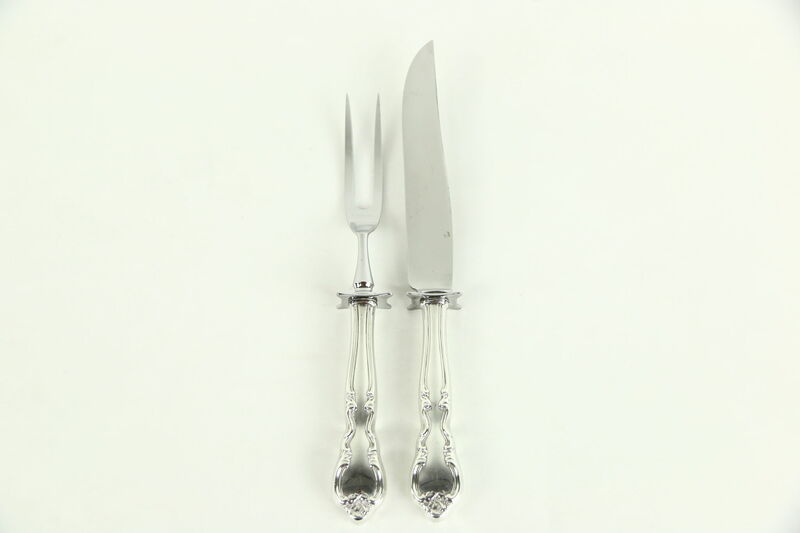 These serving pieces have stainless steel blades, knife length is 9 1/2" and fork length is 8 1/2."